Rocla Concrete Tie products are the established solution for complex transit project. Restraining rails are an important component of transit rail infrastructure, especially along tight curves where it provides increased resistance to track derailment. 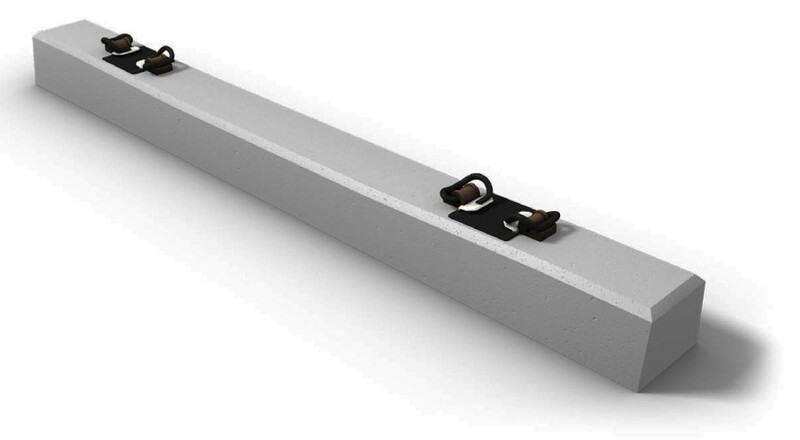 We are the leading supplier to North American transits with a comprehensive offering of tie products that include concrete Restraining Rail Ties. Rocla concrete ties are designed for the specific requirements of each projects which makes us the ideal partner for unique transit projects. Our exacting production and quality control processes ensure that every tie provides reliable, consistent performance, contributing to the safe rail infrastructure necessary for passenger transit. Rocla Restraining Rail ties can be customized to meet project specifications requiring conventional restraining rail or U69 bracket applications. Gage and flange-way requirements can be adjusted to meet customer needs. Fastening Systems: ffastening systems featuring tension clamps (Skl) and screw-dowel combinations (Vossloh); screwless fastening systems featuring clips and anchor bolts.